Submitted by team member Andrea Sagsveen from Good Shepherd Lutheran Church in Bismarck ND. Today was a tiring and exhilarating day all in one. 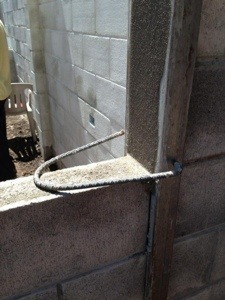 We rose early and spent a full day at the Habitat homes. The heat got to a lot of us and I wondered if I could make it past lunch without a nap. 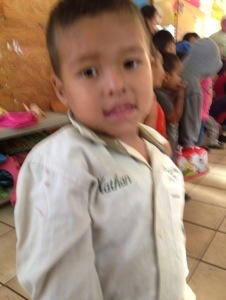 Thankfully we all perked up after a lunch of fish, vegetables, rice, and tortillas. 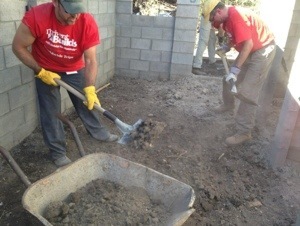 Our tasks today included moving a lot of dirt, helping the masons with mezcla, sanding, and taking care of each other in the heat. The week before I left I heard a radio commentary on Klove about a man who gave up his first class seat to another since he felt she needed it more. Even though he was entitled to that seat, he gave it up for her. The commentator said that that’s what Jesus did for us – he sacrificed his first class seat to save us. I’ve thought about that a lot since I flew down here (unfortunately, not in first class :)). I thought about how I would give up my “first class seat” of having a comfortable life back home for only a week. What I have already found is that I can spot many people on our team, on our journey, and here in El Salvador who are continually giving up their “seats” to help others. When I can see the sacrifices of others I feel empowered to sacrifice more myself. What a blessing to spend a week with these wonderful people and hear and experience more opportunities to give up my “first class seat” this week. Final framing our of the window before installing. 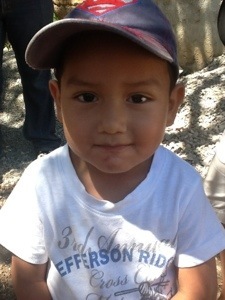 One of the many children in the Child Care Center at Villa Esperanza – the first Thrivent Builds and Habitat for Humanity El Salvador. 135 families now live in this community. 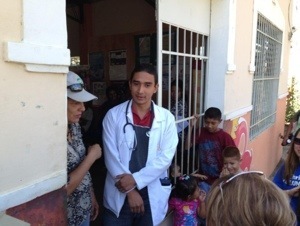 Outside of the clinic at Villa Esperanza. 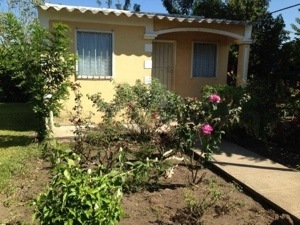 One of the homes in Villa Esperanza. 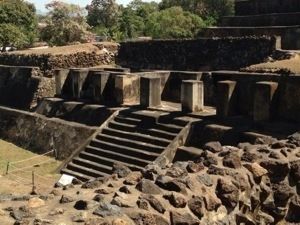 The ruins of Tuzamel in Santa Ane, El Salvador. 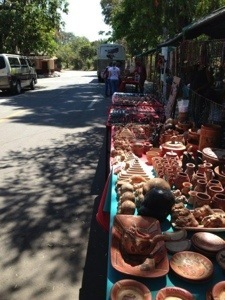 The market outside the ruins site. This entry was posted on Wednesday, February 20th, 2013 at 3:04 am	and posted in Recent Sermons. You can follow any responses to this entry through the RSS 2.0 feed.